I thought the style of some of the cartoons which were translated recently looked fun... Feel free to make your own and post in this thread too. Hahah, that's pretty hilarious, but it doesn't remind you who to send for the 4th set. 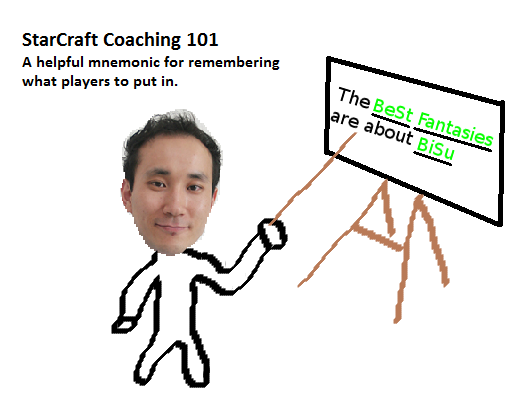 The BeSt Fantasies are about Bisu's Ssak? 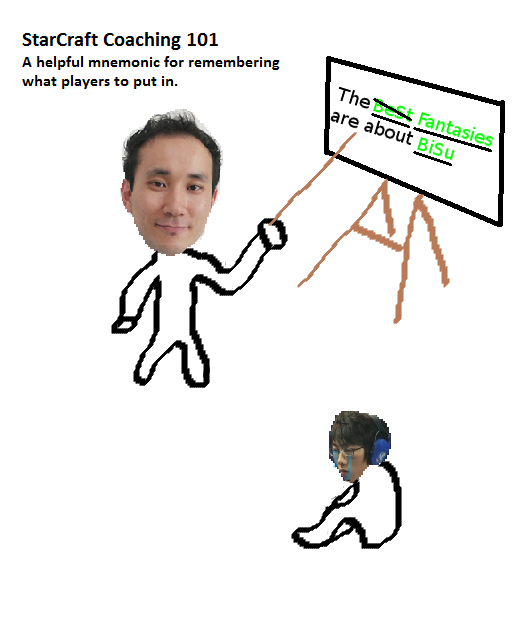 Send one of the legendary SKT1 zergs. Doesn't really matter who, but you need some racial diversity! Oh this game is fun!